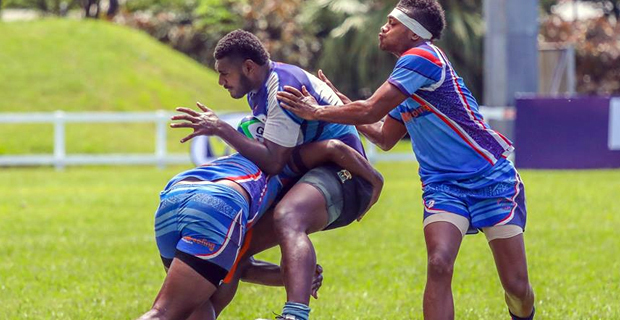 Defending champion of the McDonald’s Fiji’s Coral Coast 7s Youth Competition, Tuva is through to the semifinals after beating Gaunavou in their quarter final 29-5 this morning. Using their speed and stepping skills, Tuva is a team that other teams need to keep a look out for as they head into the finals of the competition. Tuva’s five tries came from Ilaisa Droasese, Josevata Kunadago, Nalaga Nakuruvakatini, Josevata Nalaqawa, and Aisea Vasui Tuifeleaki. Rusiate Vakaloloma scored the lone try for Gaunavou in the dying minutes of the game. In the second quarter final, Ravuka Sharks beat Kings 7s Select 14-5. The 3rd quarter final is underway with KISSP Investment Wesley Fijian leading Vueti Cakau leading 12-7. Ratu Filise will take on Sigatoka Young Boys in the last quarter final. The Women’s competition starts today and ends tomorrow while the Men’s competition will be from tomorrow to Saturday. You can catch the live commentaries of the quarter finals from 11.20am, semifinals from 2.50pm and final from 5pm Saturday on our sister station, VitiFM 92.2FM, 92FM and 92.6FM.